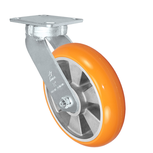 ​Casters for carts, dollies and hand trucks. 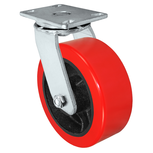 Durastar Casters manufactures high-quality casters for carts, dollies and hand trucks. 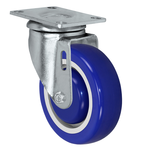 Our casters provide excellent impact resistance and quiet rolling performance. 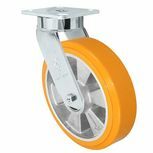 With the proper wheels, these casters can also withstand abrasion and reduce the force needed for movement, which is perfect for carts use in manufacturing plants. 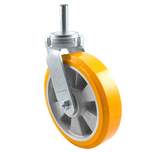 These casters are long lasting and decrease the maintenance cost. 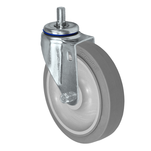 Durastar pneumatic and flat free casters can withstand up to 300 lbs. The casters applications are including hand trucks, dollies, luggage carts, bellman carts and toolboxes. 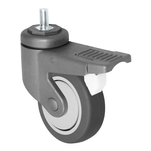 Durastar heavy duty low profile casters can withstand up to 2000 lbs. The low profile casters applications are including vending machines, food service equipment, platform trucks, security carts, utility carts, lift tables and machineries.